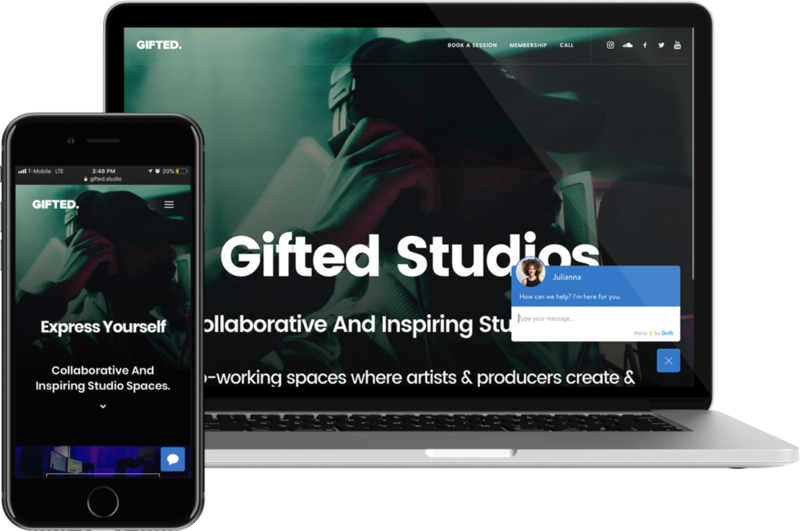 Gifted Studios was a workspace for music professionals. The goal was to foster the creative community by providing common space where they can meet and collaborate. In Q3 of 2016 we carried out the top-to-bottom redesign of our website. In Wordpress, we integrated subscription payments via Stripe and added a self-service web app for workspace bookings to match customer needs. 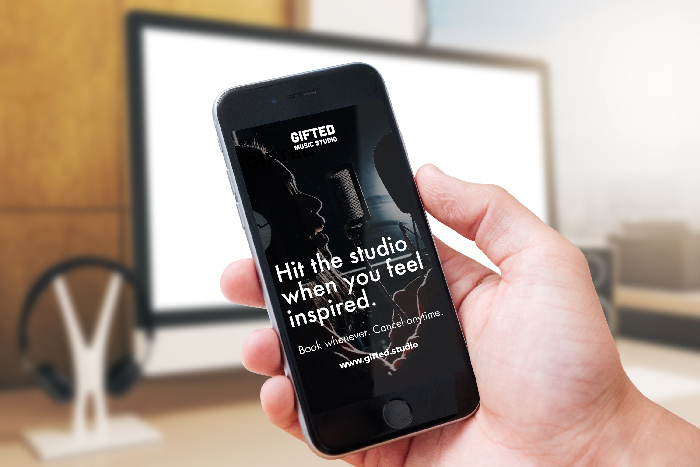 In most studios, customers call to book sessions. Customers are also used to paying at the end of their session. These factors create friction in the business. There is a dependence on the representative who answers the calls and some customers end up being no-shows. Our customer base helped us identify opportunities to improve the experience. We gave a lot of attention to when customers get inspired and how they take action. User interviews showed us when prospects find a studio of interest they immediately try to get in contact. At which point that business has a small window of time before the user goes elsewhere or loses inspiration. Our goal was to design an end-to-end experience to help the customer get from being inspired to being booked as easily as possible. With mobile-first in mind, I began wireframing homepages, web tours, and sign up pages in Sketch that we could test with our customers to solidify the hypotheses. Once we tested our wireframes and found what we thought was the best solution for our customers, we designed hi-fidelity prototypes in Invision then applied it to our Wordpress platform. Helping customers book online was our primary objective in the redesign. Our solution was to integrate Setmore, an online scheduling and payment processing platform. We installed their API on our CMS. This integration added measurable consistency in bookings, more information about our customers, and insight into booking habits. We also implemented Drift, a conversational marketing program. This let site visitors have a conversation with a person on our team and allows them to instantly book sessions. Drift Bots also answer people's questions from our knowledge base so customers get real-time feedback. Over the year, we grew an organic following on instagram so we primarily used Instagram stories and email to spread the word about the new offering. We targeted previous customers, proximity to location, and using characteristics from our customer base. In Q1 2017 We launched the site and saw an increase in bookings by about 30% and near 80% decrease in ‘no-shows’.